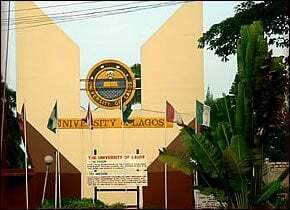 University of Lagos (UNILAG) part-time Diploma Programme in Real Property and Secured Credit Transaction application form for the 2013/2014 academic session is out. The Human Resources Development Centre (HRDC) in collaboration with the Department of Private and Property Law, University of Lagos invites applications from suitably qualified candidates for admission into the part-time Diploma Programme in Real Property and Secured Credit Transaction for the 2013/2014 Academic Session. TARGET: Bankers, Insurance Brokers, Business Administrators, Property Agents, Land Registry Practitioners’, Ministry of Lands Officials, Property Developers, Estate Valuers and Agents. Matured candidates who are not less than 30 years of age and have 5 years’ working experience may be admitted despite any deficiency in the minimum entry requirements. Log on to the HRDC portal: hrdc.unilag.edu.ng; click the ‘Pre-Application Form’ link, provide the required information and submit to obtain a ‘Payment Reference Number’ (voucher) which should be printed out. Use the Payment Reference Number voucher to pay the N7, 500 application fee at the UNILAG branch of any the following banks: Ecobank, Access Bank, First Bank or Wema Bank. Return to the HRDC portal, click the Application Form link, login with the Payment Reference Number as USERNAME and provide Surname (in lowercase) as PASSWORD to access the Application Form. Click the ‘Edit Application form’ link to fill the Application Form and upload digital passport (JPeg format) which should not be more than 15kb in size and must be in white background. The acceptable dimension is: width- 235 pixels or 35mm, height- 314 pixels or 40mm (Failure to comply with specified image format may lead to disqualification). Click “SUBMIT FORM” button after filling the form completely; else click “DECLINE” button. After submission, print two copies of the completed Application Form. Take the printed forms and two (2) sets of credentials to Room 004, Human Resources Development Centre Secretariat, UNILAG not later than July 21, 2014. If payment is not done within five (5) days of obtaining Payment Reference Number (voucher), the pre-application would be DECLINED. Applicants will then be expected to refill the pre-application form to obtain a new Payment Reference Number (voucher). The admission list will be made available on HRDC Portal (hrdc.unilag.edu.ng). (b) Thereafter, login in with Application Number and Surname as your password to print the admission letter.